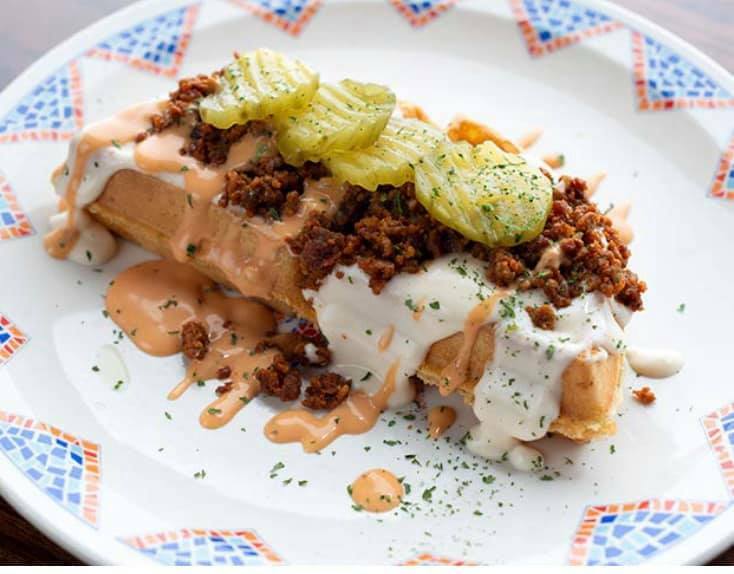 From jalapeno poppers to ice cream sundaes, Capitol Waffle Shop shows that the only limit to waffle flavor is your imagination. Thanks to Capitol Waffle Shop, Richmonders can now satisfy their waffle cravings at almost any time of day — as long as it’s before 3 AM. The unique restaurant offers over 200 different batter recipes and thousands of different combinations. And best of all, they deliver. Learning the ropes of restaurant business from his experiences in New York City, owner Brad Barzoloski wanted to bring a totally unique, original, and affordable food concept to Richmond. He succeeded, bringing the area a fascinating new twist on a breakfast classic. 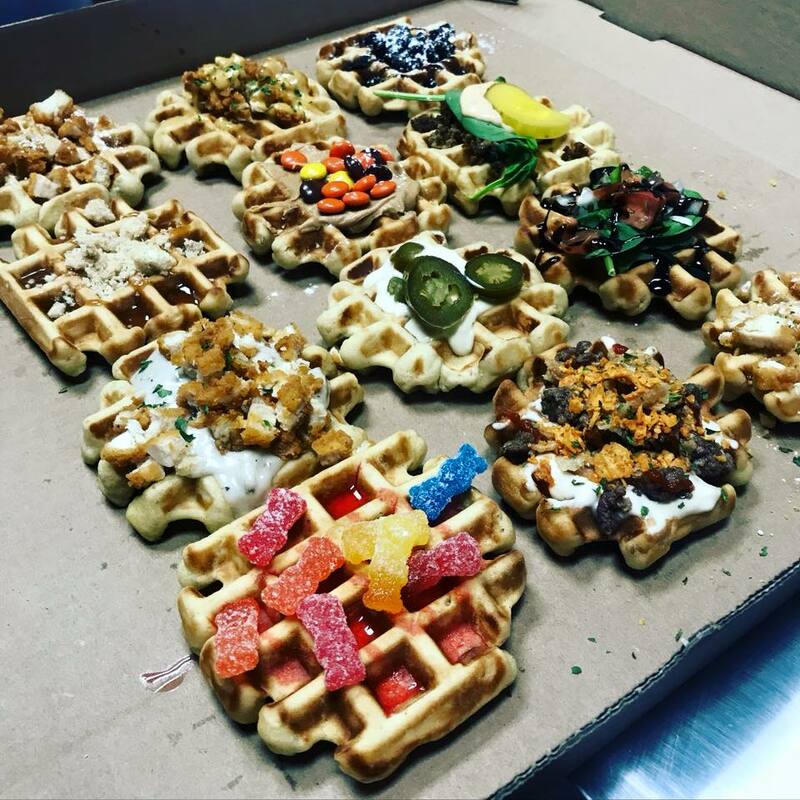 With batter recipes incorporating pretty much any flavor you can think of, from falafel to mac and cheese to Fruity Pebbles, Capitol Waffle Shop’s menu is as diverse as its client base, which is often dictated by their location, accessibility, and community involvement. Conveniently located in the heart of downtown, just off of Interstate 95, the restaurant sees businessmen, congressmen, and travelers alike. Open for around 20 hours each day, the late hours and full bar draws in Richmond’s nightlife crowd for a dish that’s normally more closely associated with breakfast. “I’ve talked to several people who say they hear about our menu and have to stop in while they’re passing through,” Barzoloski said. Heavily involved in community outreach, Capitol Waffle Shop works with several local groups to raise money for their respective causes. For example, they recently worked with a local elementary school to raise money for the Parent-Teacher Association, taking over a school cafeteria and selling waffles in order to raise money, all while holding a competition that placed one lucky student’s waffle creation on the menu. Each month, the restaurant offers a menu that specifically caters to certain organizations in and around Richmond. 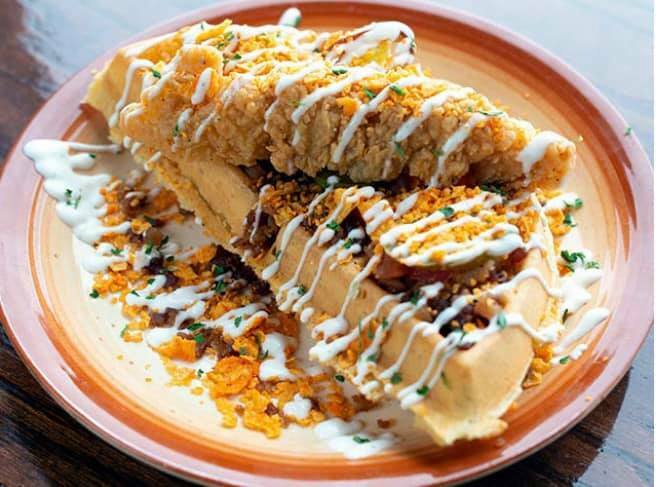 For example, February’s menu features a cereal-themed waffle whose proceeds go to the Children’s Hospital of Richmond, as well as several other choices that benefit organizations such as the YWCA, the SPCA and the American Federation of Suicide Prevention. Expressing the importance of being accessible to everyone, Barzoloski said it is crucial the food the restaurant serves is inexpensive and caters to all dietary-restricted customers; they even offer a vegan almond-protein-based batter for those who do not eat animal by-products. The restaurant also prides itself on affordability. Presently, no item on The Capitol Waffle Shop menu exceeds $10. “Other restaurants around here are offering the same amount of food for $12 or $14,” Barzoloski said. It’s not just the unusual waffle flavors that they have to offer, either. 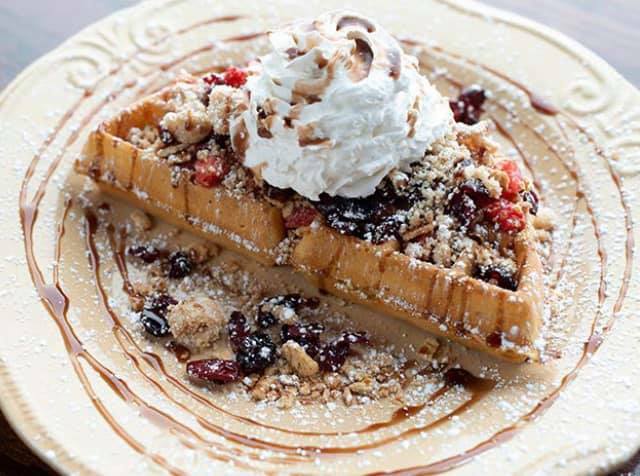 Capitol Waffle Shop also regularly presents enticing events and activities that bring people into the restaurant. Every Friday, the restaurant runs a Facebook poll giving users the chance to choose between two new waffle options. The winner is placed on the menu for the week. Earlier this month, there was a tight race between a multi-colored rainbow waffle and an ice cream sundae waffle. On Wednesdays, the restaurant hosts a local music showcase. People who are looking to perform can message The Capital Waffle Shop on Facebook for booking. 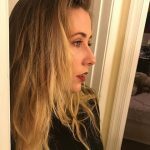 According to Barzoloski, after being active for a year and a half, the restaurant is looking to expand into other areas of Richmond. Presently, their downtown location limits their event calendar because it is a smaller setting. However, Barzoloski said he hopes to open another location in the Fan district soon to better accommodate the restaurants growing clientele. Originally from Prichard, West Virginia, Emily has found herself using her mountain roots to navigate Richmond. With a love of writing, Emily hopes to give a voice to those who often do not. She studies Journalism and History at Virginia Commonwealth University.